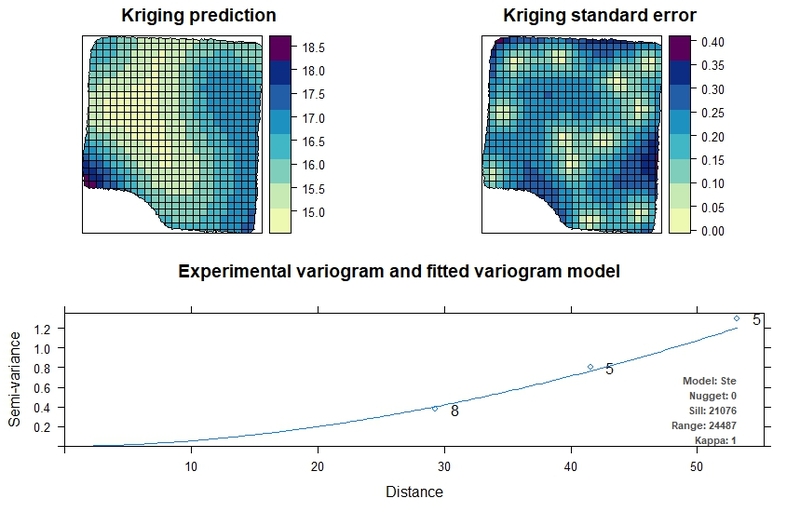 I have performed Kriging using the autoKrige function, that is part of the automap package in R.
I have realized that maybe the reason why I can not export the Kriging prediction plot is because the grid that I setup (to performed kriging) is somehow wrong. Any ideas on how fix this? Could it be related to way I setup the grid? The $krige_output component is a SpatialPointsDataFrame object holding the estimates and the standard errors. You can then export this to shapefile (or anything else) in the usual ways. similarly plot the predictions and the variances. You will not be able to export symbology from the plot function, only the raster(s). This is not a shapefile (polygon, point, line) but rather a raster format. Whereas there are steps to convert to a point object that can be exported as a shapefile, this is not desirable. The class of the output from automap::autoKrige is a SpatialPixelsDataFrame (sp raster class object) and can be exported to a raster format using writeGDAL in rgdal or writeRaster in the raster package(s). Not the answer you're looking for? Browse other questions tagged r kriging ggplot2 or ask your own question. Exporting kriging prediction map in .asc format? 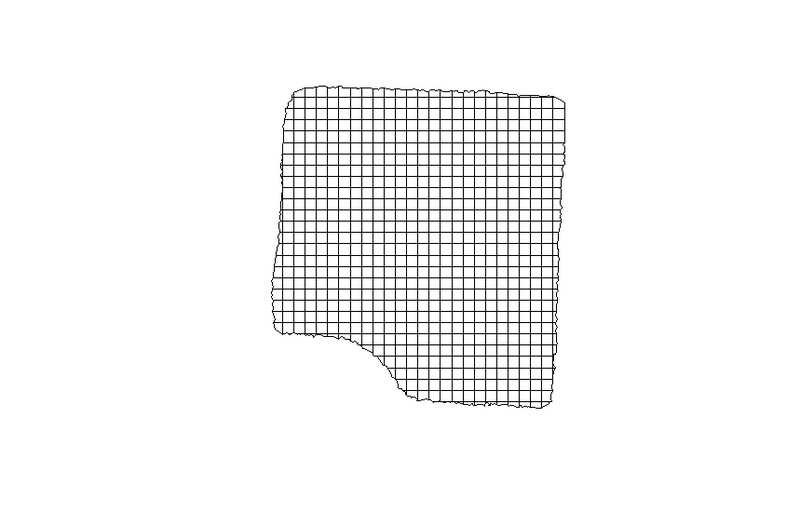 R: how to export my Kriging result to raster? R kriging cross validation returns NA for all prediction points? 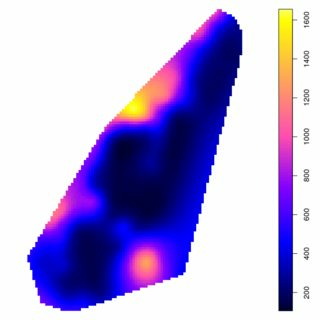 How weights in Kriging are calculated, and predict beyond range of sample values?